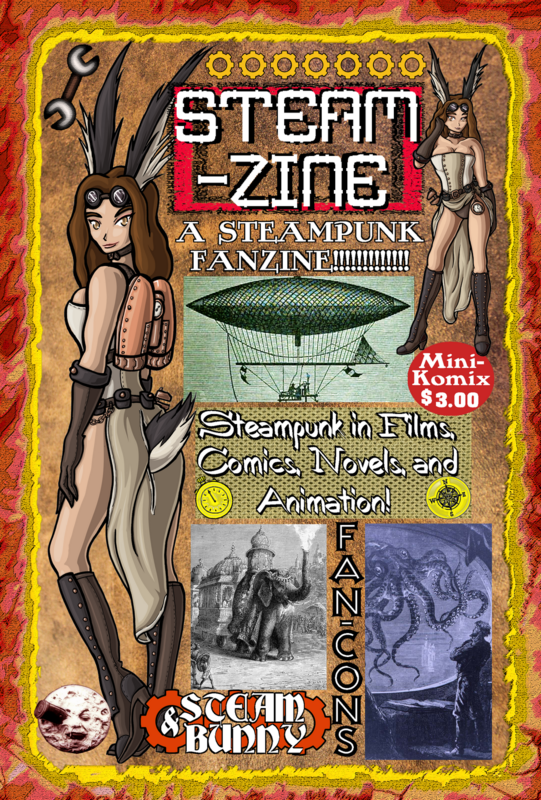 Steamzine is a fanzine we finished about steampunk, and its impact on the geek culture. Reviews of steampunk-themed, anime, animation, comic books, graphic novels, and more. 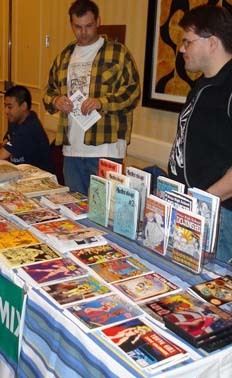 Plus, steampunk conventions and events, as well as the plus an original tale written by comics author Sean Taylor of Steam Bunny, a genius bunnygirl in the 19th Century. It's ready for download at DriveThruComics.com, as well printed print from Lulu. You can also get it printed through us at a more reduced price.